This Episode offers 18 exclusive DJ Sets. On Demand streaming is enabled. The music is prodigious!! Please, enjoy! Ladies and gentlemen. 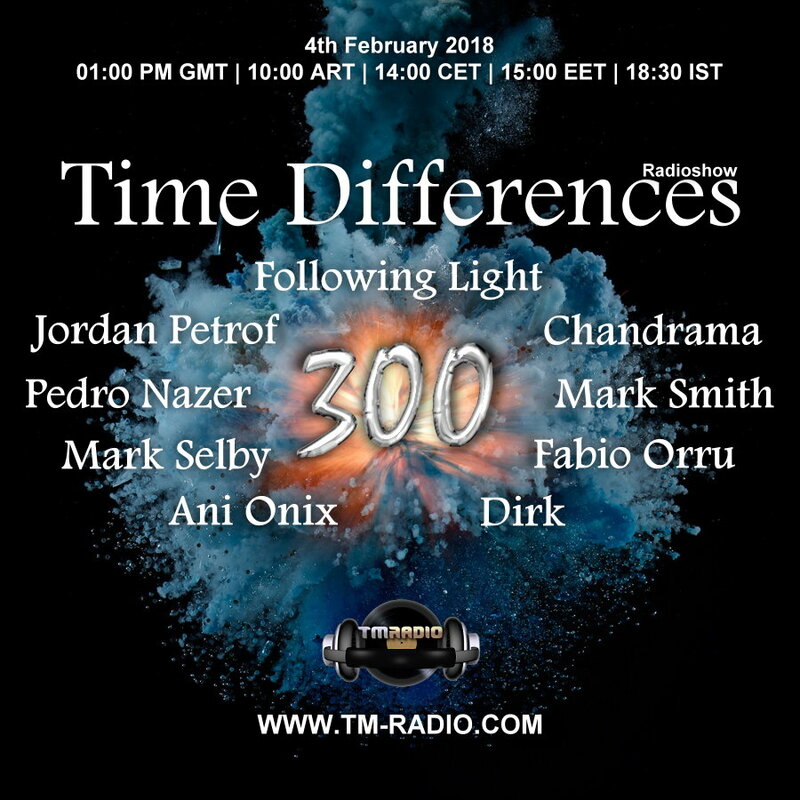 It was the 1st of June 2011 when Deep Soul Duo from Argentina had the grand opening of “Time Differences” on TM Radio! That was the beginning of a legendary radio show. At this time there were two hosts plus international guest DJs. Later there were three hosts, and then four… the show grew…every week one episode! In the following years some hosts left the show and new ones came. Now it’s February 2018 and we celebrate the 300th episode!!! We proudly present you 9 hours full of great music from some former hosts, the current hosts and the premiere of our new man in the team! And as a bonus we play all the first host mixes of the respective DJs afterwards. Look forward to this great MEGA EVENT !! !